Last month one of my favourite tattoo artists - the world renowned, Brooklyn based Scott Campbell - brought his Whole Glory project to London. It was an opportunity for Scott to have complete freedom in his work - and for some of his fans to receive a tattoo for free - although the catch was that they would have no say in the design, and wouldn't even get to see it until it was finished! The waiting list for a tattoo by Scott Campbell is YEARS long, and they also cost a small fortune, so I was super keen to get one, even if the finished design would be a total surprise..... To be in with a chance you had to enter a lottery and those that won a seat had to put their arm into a hole to let him work his magic, without meeting him or having any consultation or communication whatsoever beforehand! 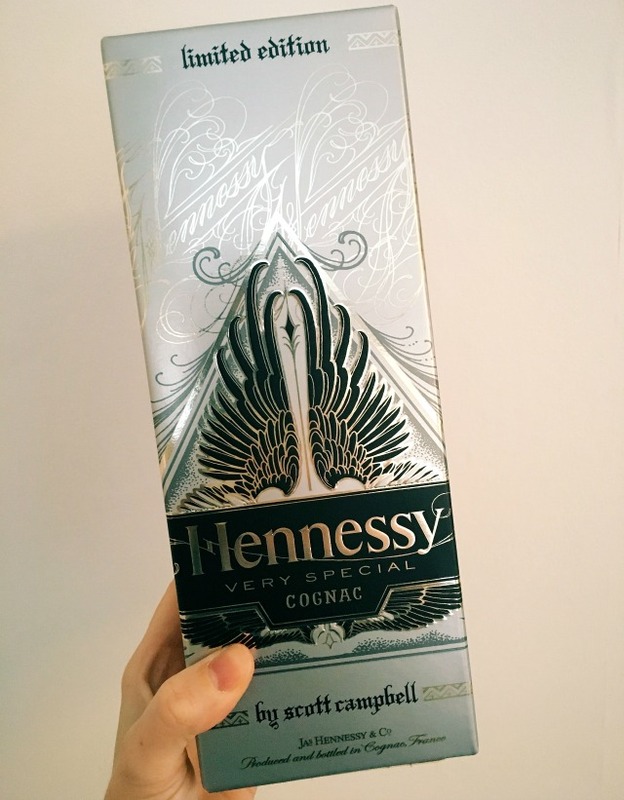 I didn't win a coveted place in the draw, so I didn't get a surprise tattoo, but I did manage to get my paws on another kind of Scott Campbell ink - in the form of a limited edition bottle of Hennessy courtesy of my favourite drinks company, 31DOVER.com (thanks, you lovely bunch!). The artwork on the bottle is the result of a collaboration between the iconic Cognac brand and the man himself and it's beautiful! 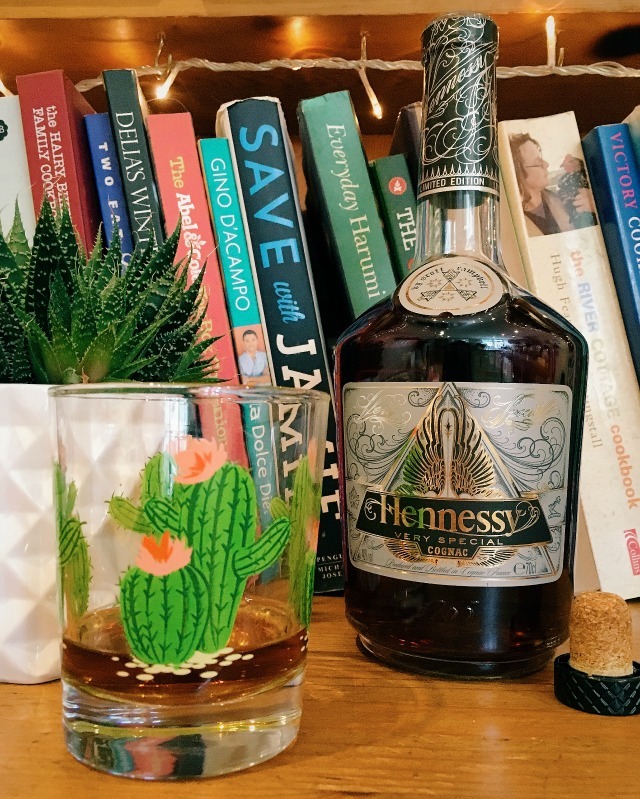 The Hennessy v Scott Campbell Limited Edition bottle is the latest in Hennessy's release of collectable bottles. This particular collaboration is a symbol of Hennessy's commitment to "the art of blending" as two very different and very old traditions overlap; Cognac making and tattoo artistry! A 75cl bottle is priced at £33.95 and is available from the 31DOVER.com website with their usual great service - beautiful gift wrapping and super speedy next day delivery. If you're looking for a present for a Cognac fan that's also fond of amazingly intricate line work tattoos, then look no further! ps If you don't follow Scott on Instagram already, make sure you do (here).